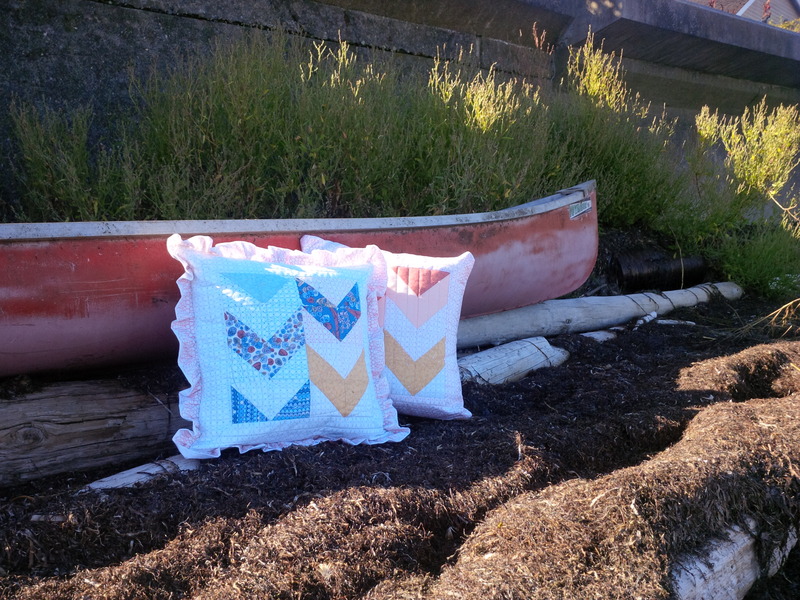 Last weeked I had the immense pleasure of attending one of Krista @poppyprint wonderful Quilting By the Bay retreats. Its a 13 hour day full of sewing, great food, and great friends. I managed to find a sitter for the entire day, so I was off and away bright and early that morning. 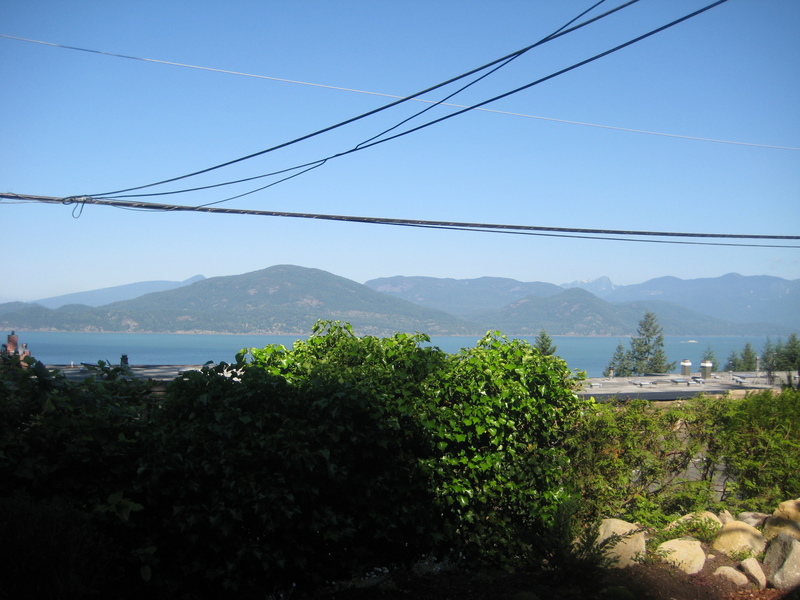 A gorgeous view in beautiful Lions Bay! As usual, I brought waaay to much stuff with me, but I would rather have it and not need it, than need it and not have it. My biggest goals for the day were to finish up a longterm project, by BTW challenge quilt for the Pacific NorthWest show, and do my Riley Blake MQG challenge quilt. If I had time, I was going to play with making some Anna Maria Horner feathers, since I love them so much! I was reminded of them from a recent Molli Sparkles post and decided I really wanted to make some at one point in the day. A table with a view, amidst my fellow VMQGers! I did manage to get most of my blocks sewn together from the long term project, but got bored waiting for the iron, and decided to put the rows away ( I know, I know, only 5 seams left, it’s just not a priority right now) and star on my BTW challenge quilt. I made up a design using only the Black to White fabrics, in a very effective grayscale. I had purchased a whole bunch of Cotton and Steel Black and White fabrics, and ended up with none of them in the final design for the quilt. By the time I finished sewing up the 256 Half Square Triangles, I was pretty bored of that too. I just wasn’t feeling it (To put some perspective on my strange mood, this was the first time in almost 2 weeks that I actually spent any time on my machine. I was burned out, and feeling it. I made a skirt at some point in there, but it doesn’t really count. Garment sewing is a whole ‘nother creature from quilting). I had a big, bright bundle of Hadley by Denyse Schmidt in my bag, and the templates and instructions for the Anna Maria Horner feathers, and I decided to play around with that. Only, as I was digging for the big, colourful bundle, I instead pulled out the Cotton and Steel fabrics that didn’t make it into the first quilt, paired with a lime green C+S basic (Dotties Cousin is the name of the print). It hit me then, that these particular fabrics together would look exactly like seagull feathers! Living on the coast, seagulls are a stable fixture in the environment. At the beach, in the parking lot at the store, or pretty well anywhere there is a chance of free food. Especially along the pier and beach at White Rock, which is a favorite spot for us. I worked my way through the pattern, made a couple tweaks, and had enough strips cut from my fat quarters to make 11 feathers. Perfect for the baby quilt size. I had just enough white to make the surrounds, but had to borrow the solid black for the insides because I mistakenly grabbed an old poly-cotton blend that just didn’t work with the other fabrics (Thanks @FelicityQuilts!). 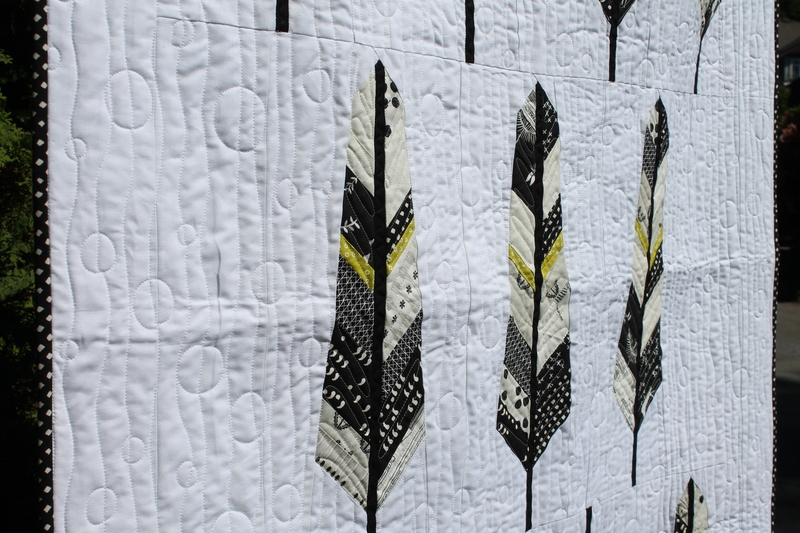 I finished sewing the feathers together at home the next morning, added strips to the sides to make the quilt wider, and then backed it in another C+S print. 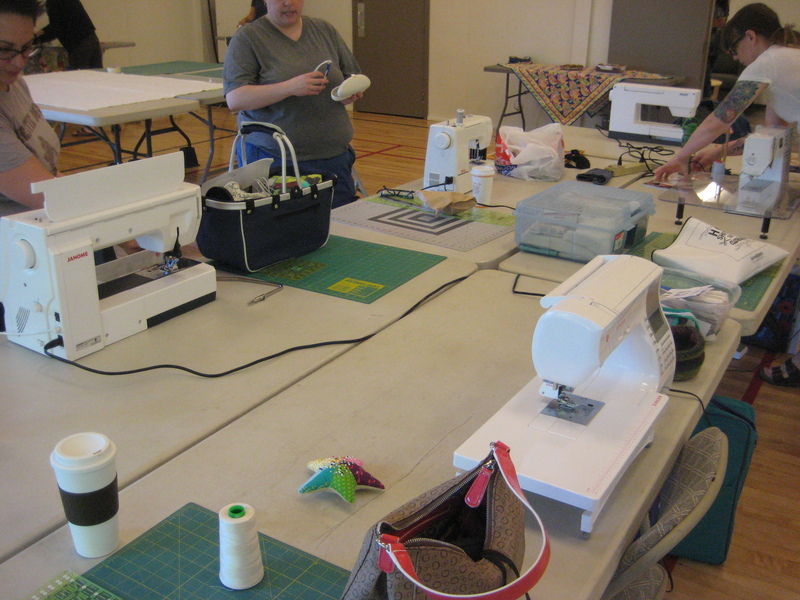 The next day I booked my time on the longarm, and got to it! I chose a pattern of curved/straight lines and bubbles. I believe its is called Effervescent? 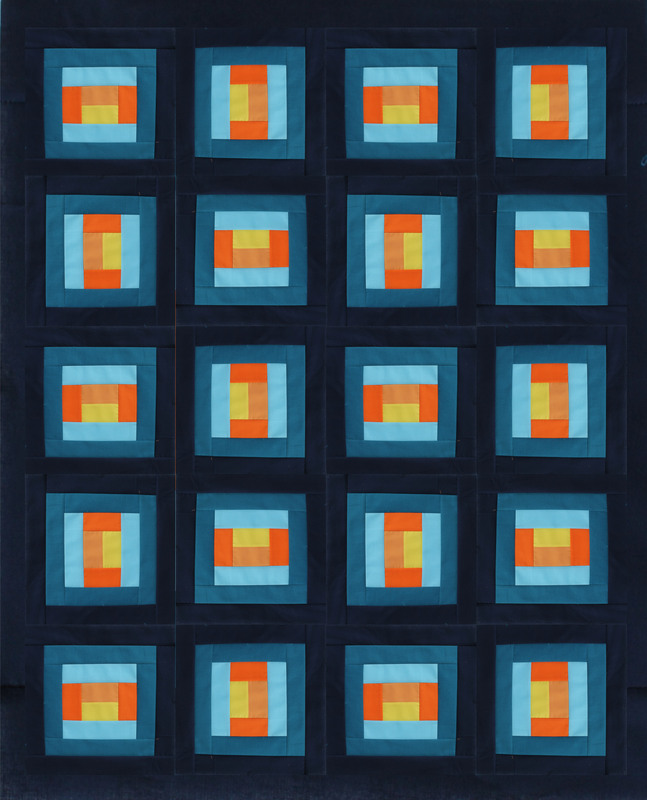 Either way, it’s from the book Step-By-Step Free Motion Quilting by Christina Cameli. I color bombed the binding, and then hand sewed the whole thing, label and sleeve notwithstanding. 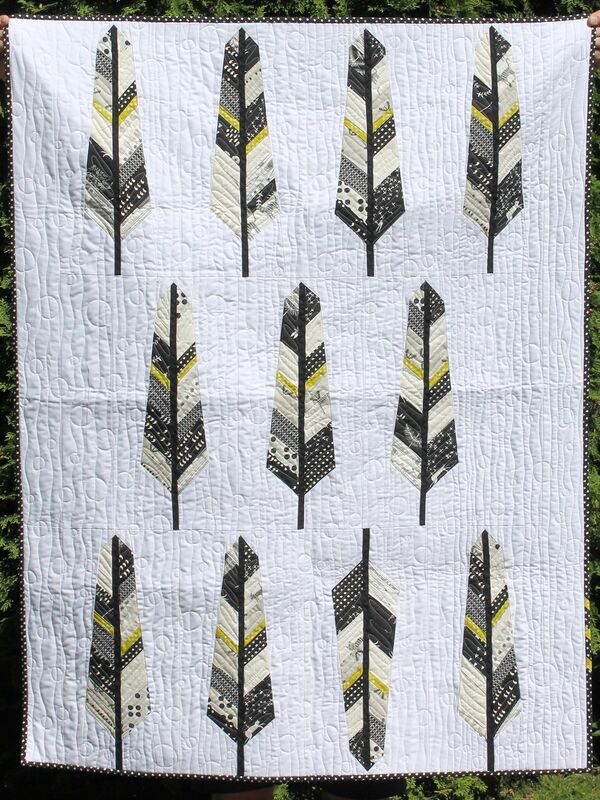 I love my Feather quilt so much, I decided to completely forgo the original design and use this in place as my BTW entry. As I was filling out the entry form, I got to the section that asks if you want to sell your quilt. I decided to use the Molli Sparkles spreadsheet to see just how much, exactly, this quilt was worth. HOLY CRAP! ITS WORTH WHAT!!!! Let me clarify a couple points in this spreadsheet. 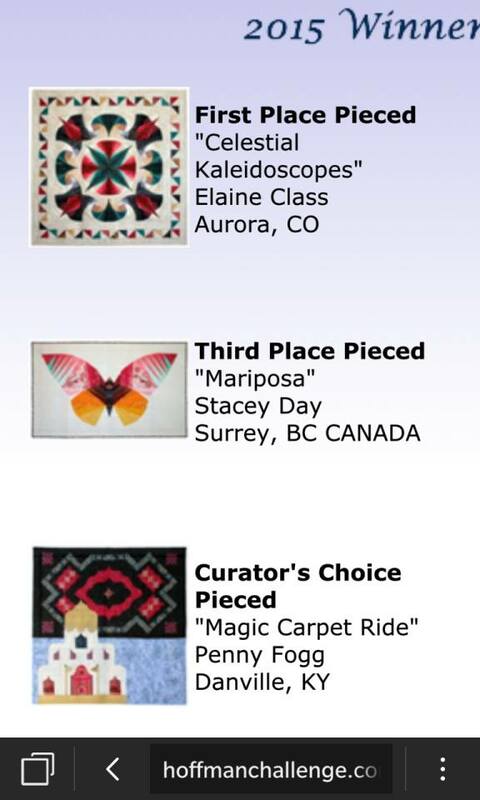 I am an award winning quilter, an author, teacher and lecturer. I have more than 15 years of experience quilting. $33/hour is reasonable for a skilled and experienced artist. 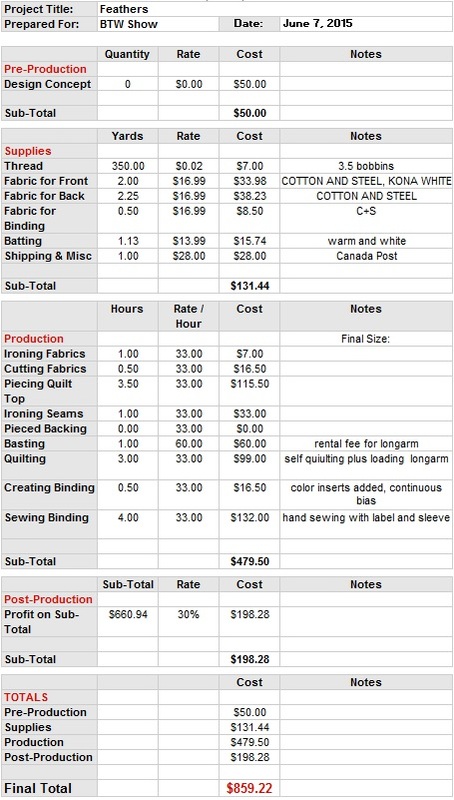 Quilting cotton in Canada is expensive, with solids starting around $10/yard and designer prints upwards of 17.99/meter, and Cotton and Steel in particular is at the upper end of the scale. The shop I purchased them from charges 16.99/yard, and I only charged for the actual amount of fabric used. The longarm rental is a flat rate of $60/day. There technically would have been the cost of babysitting and the retreat in there, since thats where I was sewing, but I didn’t include it. Then there is the 23% that the PNW takes as commission for selling your quilt (12.5% for two NFP entities) so that 30% markup is really only 7% for myself. Not much, considering most businesses mark up their products 50% or more ( I worked at a shoe store once, and made the mistake of checking the invoice. Our cost, $5.00, our retail price, $89.99, that’s an 1800% markup!) And Canada Post is mega expensive, even with my discount card, and that cost is a low estimate based on what it usually costs me to package and send off quilts to the lower US. 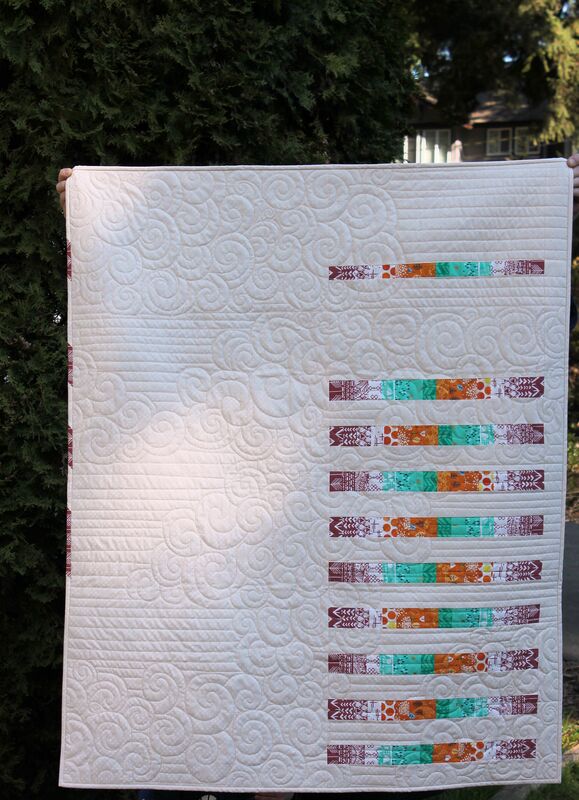 I never would have put this quilt at almost $900, but there it is! Personally, when I make a quilt for myself and as gifts, I don’t take cost into account. Especially with gifts, because friendship is priceless. But if you go and read through the We are Sew Worth It series from Hunter Studios, Molli Sparkles, and Sew Mama, Sew, it starts to make sense. 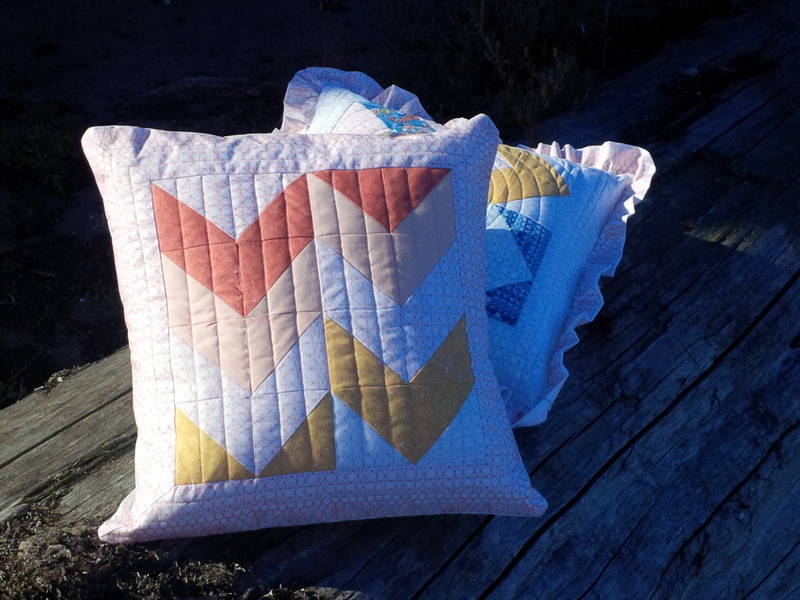 When someone seeks out out to request a quilt, you are spending a lot of time, energy and money to make said quilt. Our time and skill has worth! Well, you all know how I felt about Marsala when it was first announced. 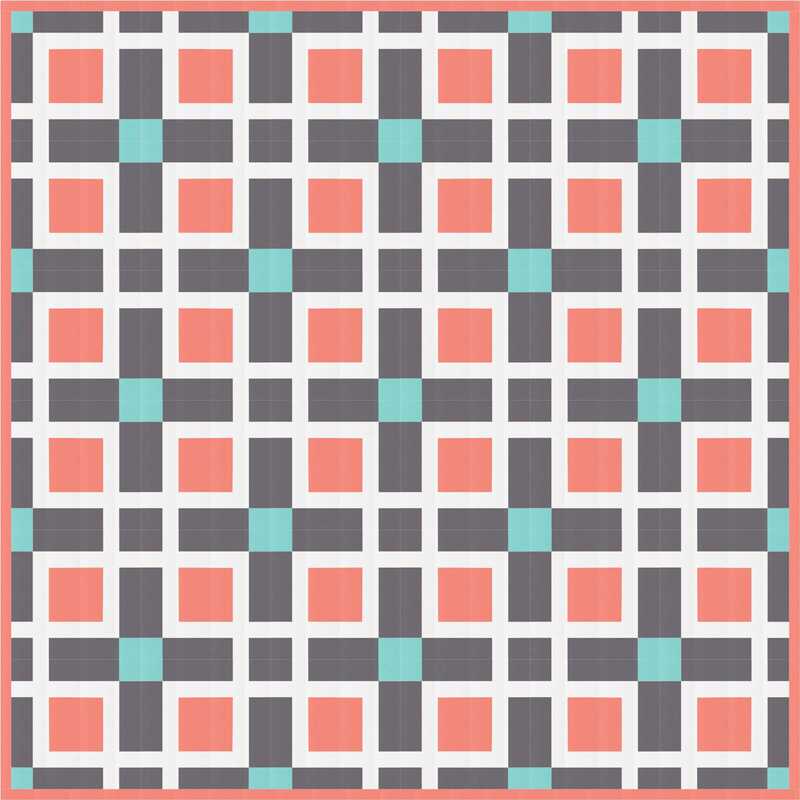 BUT I love a good challenge, and I have always wanted to participate in the Pantone Quilt Challenge hosted by Anne @Play-Crafts and Adrianne @On the Windy Side. I missed out on Radiant Orchid last year ( I had all the fabric and forget why it never got done), so Marsala it was. I wanted to try and use colors that maybe weren’t the easiest to match to Marsala. I wanted to try and bring out some of the other undertones you find with it, while keeping it warm and friendly. 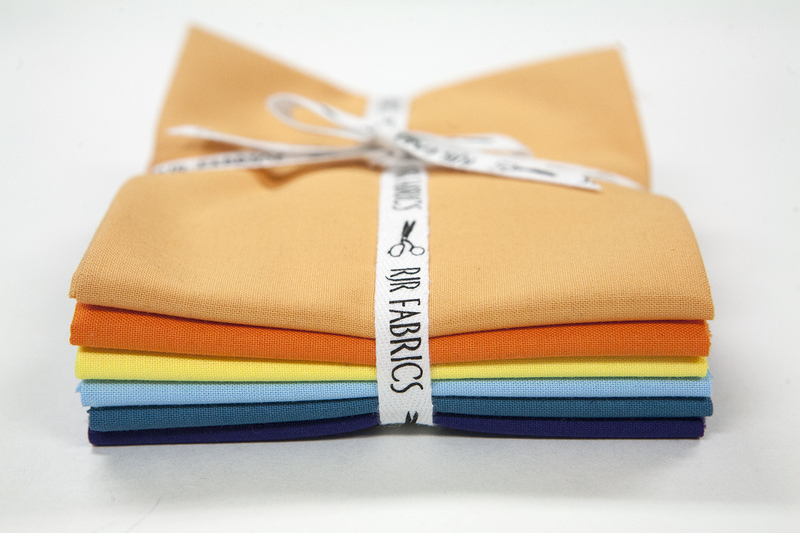 I bought a bundle from Hawthorne Threads, and then added colors to my shopping cart until they looked good on screen. Of course thats always a gamble, the screen won’t show how bright or vibrant a fabric is, but I lucked out and got exactly what I thought I was getting. Woo hoo!! And then it sat. and sat and sat and sat and sat. AAAAAAAAAND SAT. I had too many ideas to try and time kept on slipping away. I started to panic. When I finally realized I was overthinking things, I took a step back and started looking through some of my books. I came across the pattern “In the Throne Room” from the book Modern Rainbow by Rebecca Bryant and experienced a true blue AH-HA! moment. I didn’t make it exactly, but you can see the influence in the layout. Trade Winds is 42″x55″. For the background I cut into my huge stash of Cotton and Steel Dotties Cousin in Linen. I think it is the perfect neutral and gives a really natural warm glow to the quilt. 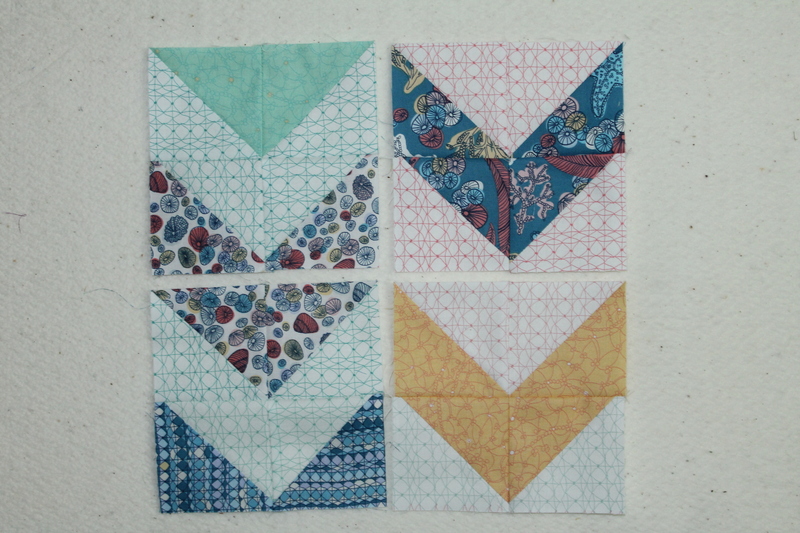 I picked eight of the Marsala fat quarters based on their value from darkest to lightest and paired them with the jade and tangerine. Those two hues are very very different, but work so well to pull out the earthy tones in the marsala. I also arranged them by value, so the bars fluctuate from dark to light to dark a pair of times across the strip. In the spirit of doing things that are a challenge for me, I left a TON of negative space. 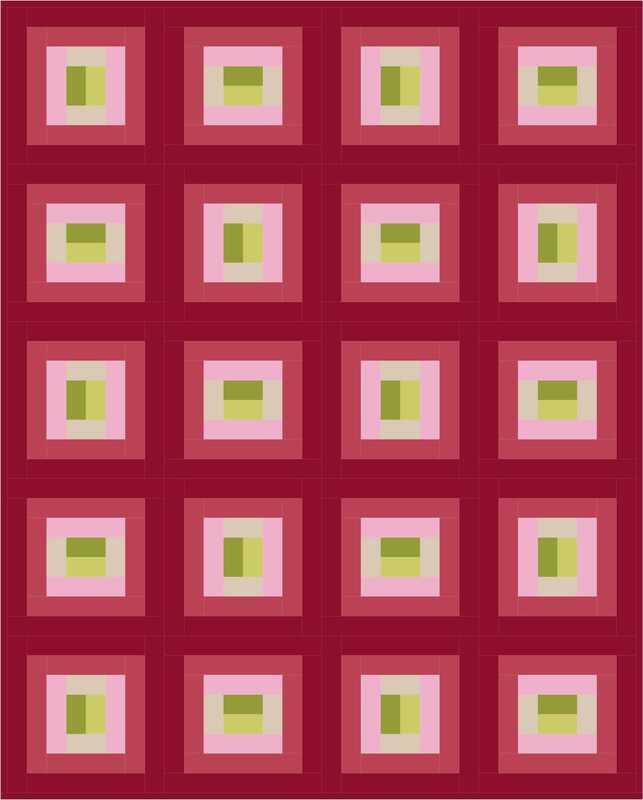 I also decided, after laying the strips out, that alternating the direction of the prints really made the quilt interesting, like a back and forth between the two groups of Marsala at either end. 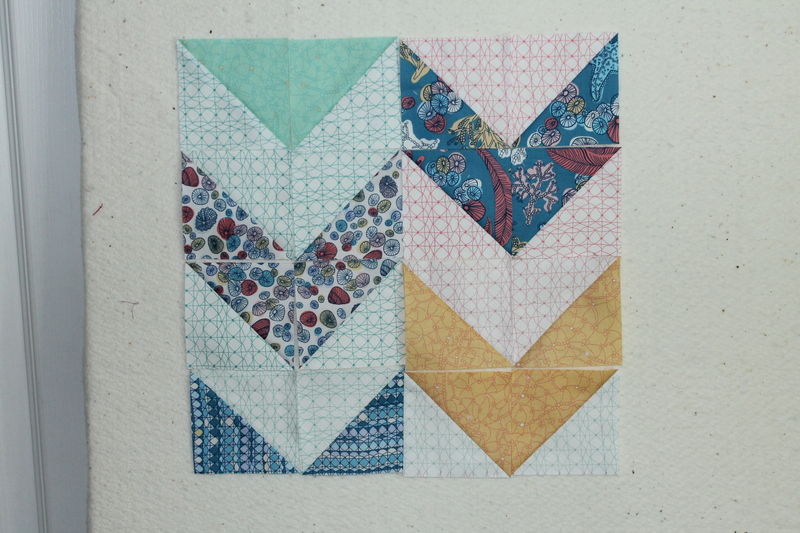 For the quilting, I took a chance on a variation of a design I saw on 13 Spools. 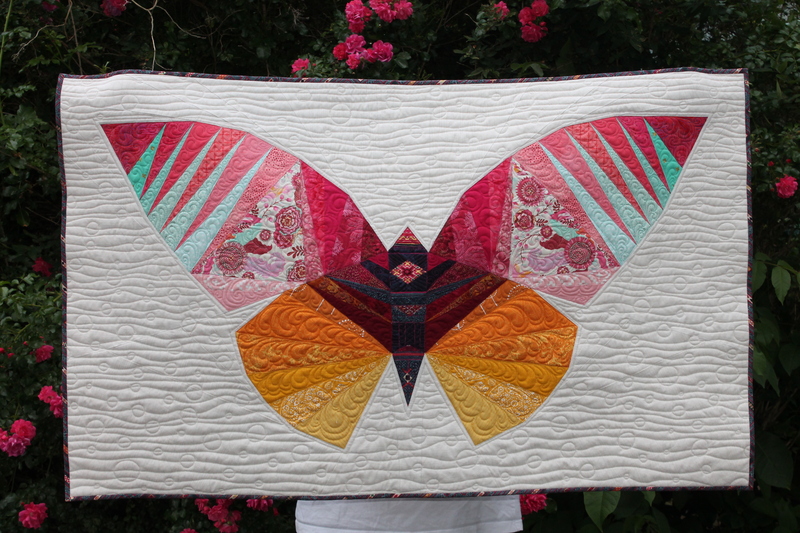 Amy Garro has some great tutorials for quilting, and my favorite is her Matchstick feathers. 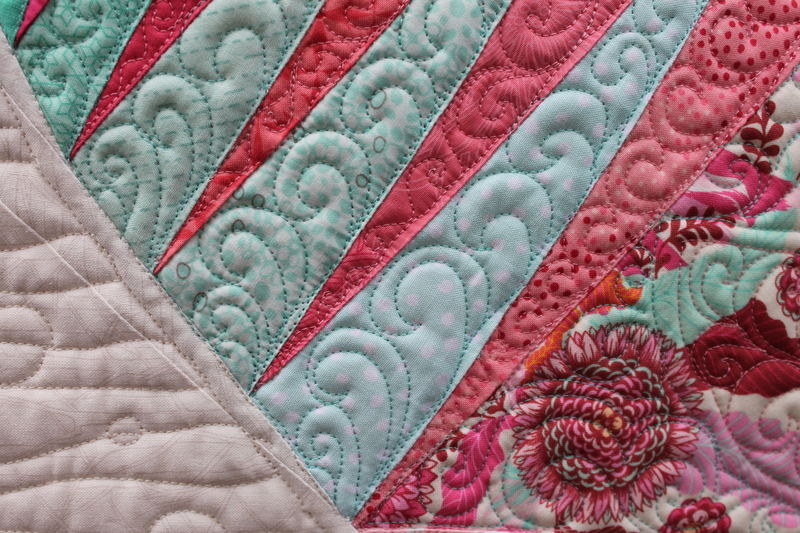 I am not quite at feather level on the long arm, so I thought I would do some freemotion large swirls, in part to contrast with the pieced bars, and in part to start getting used to the control it takes to really reign the curves in. As I went, I decided to add some horizontal spaced lines to compliment my spaced bars and add the contrast to the swirls. It isn’t matchstick, but the effect is what I wanted,and the result looks like a cloudy sky with the wind blowing between them. 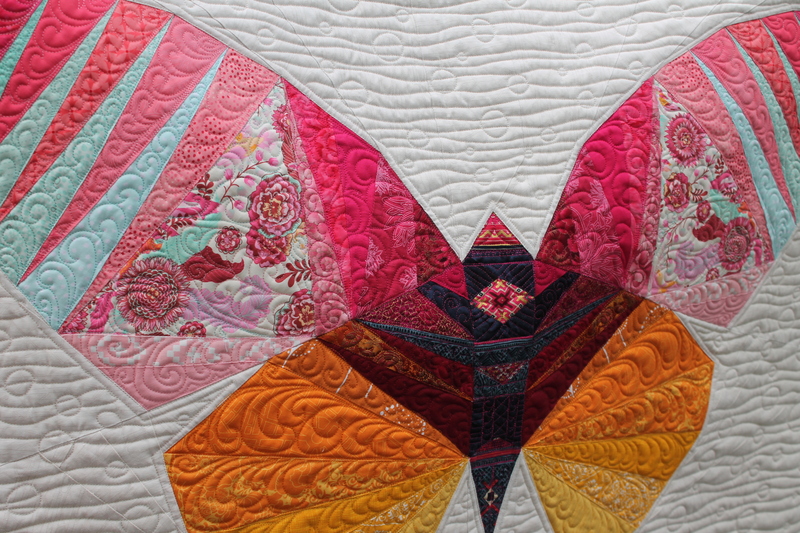 The almost Oriental color theme, the back and forth of the colors, and the quilting stuck the name Trade Winds in my head. I think it really suits. 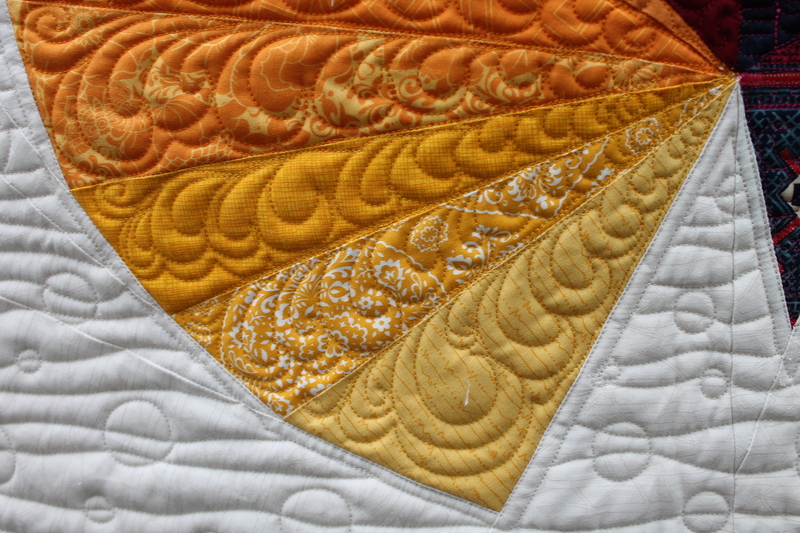 I used Aurifil 40wt in Sand for the quilting, and the darker thread did wonders for the quilting! Of course I Marsala bombed the binding with my favorite arrowhead print, which I also alternated the direction of as a nod to the bars. 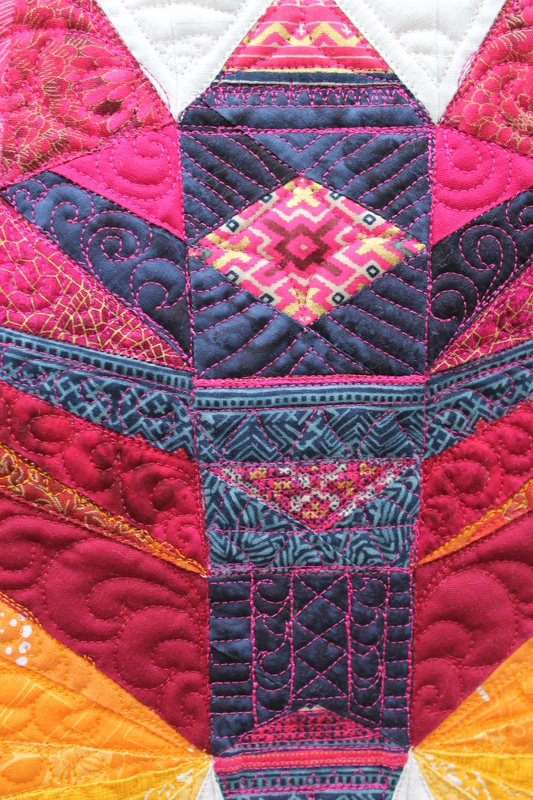 This quilt is very different for me, with a lot of super bold elements, and I really love it. I am also happy that I was able to use a unique color pairing to bring out the best in the Marsala. I actually kind of like it! 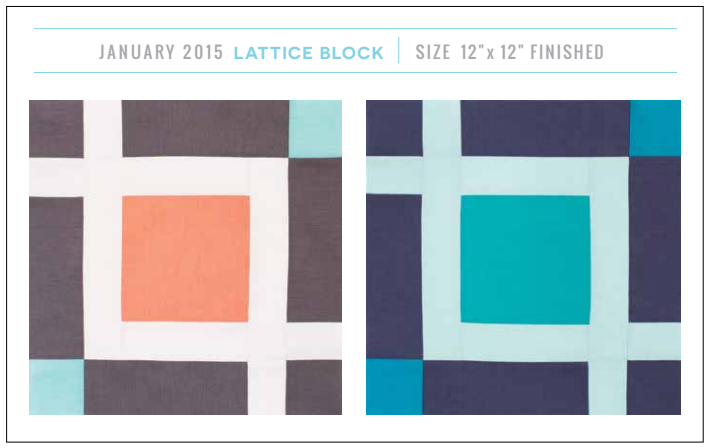 Linking up with the 2015 Pantone Quilt Challenge. 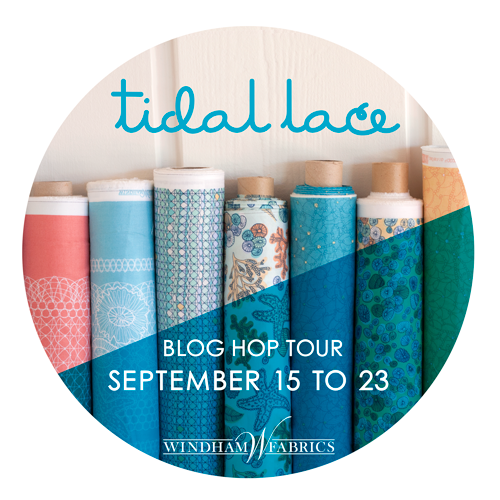 A few weeks ago I was invited to participate in the What Shade are You Blog Hop by RJR fabrics. 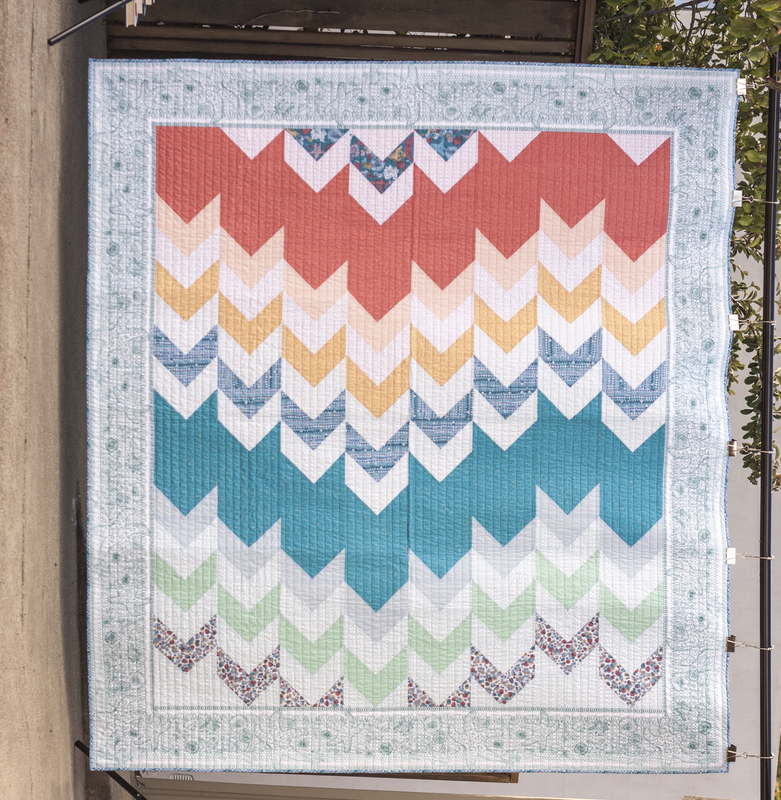 I am always up for a blog hop, it gives me the chance to bring some of my Quilt Design a Day designs to life AND give away some great fabrics to a lucky reader! Back in December one of our inspiration photos, called Sparks and provided on a weekly basis by a QDAD member, really struck me with its colors and intensity. 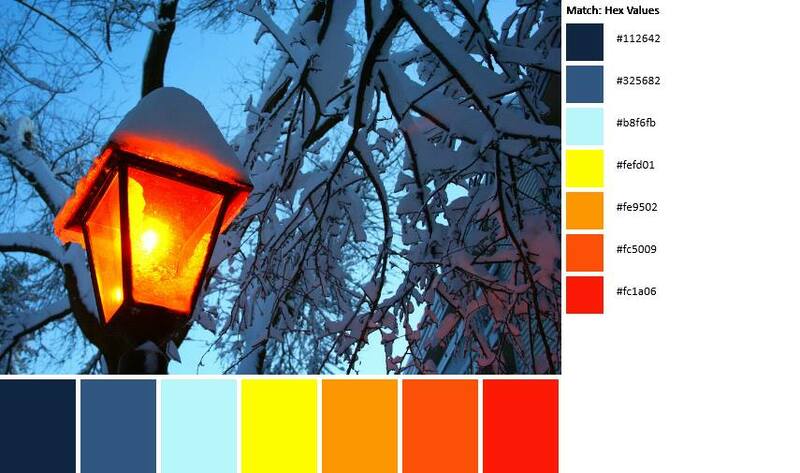 Taken during Snowmageddon, that particular QDAD design I had flagged in my head as one to do up as a pattern. The timing was perfect, as RJR sent the invite not a week later, and that design came to mind. 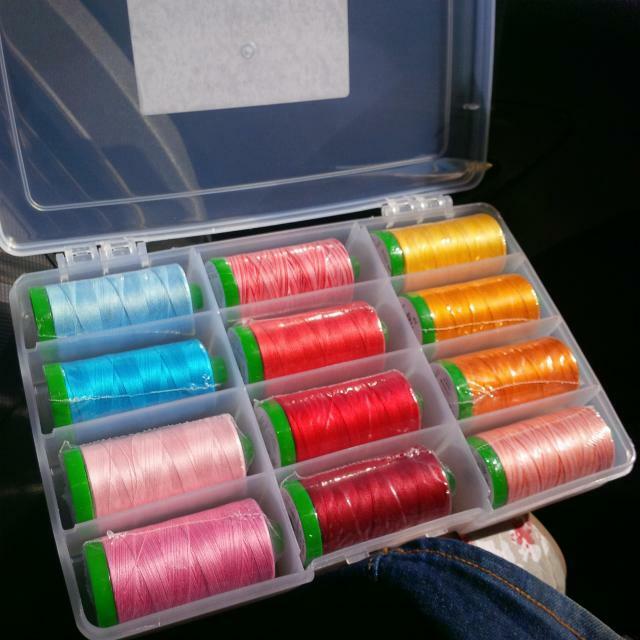 I had a lot of fun narrowing down the colors to use from the Cotton Supreme Solids. 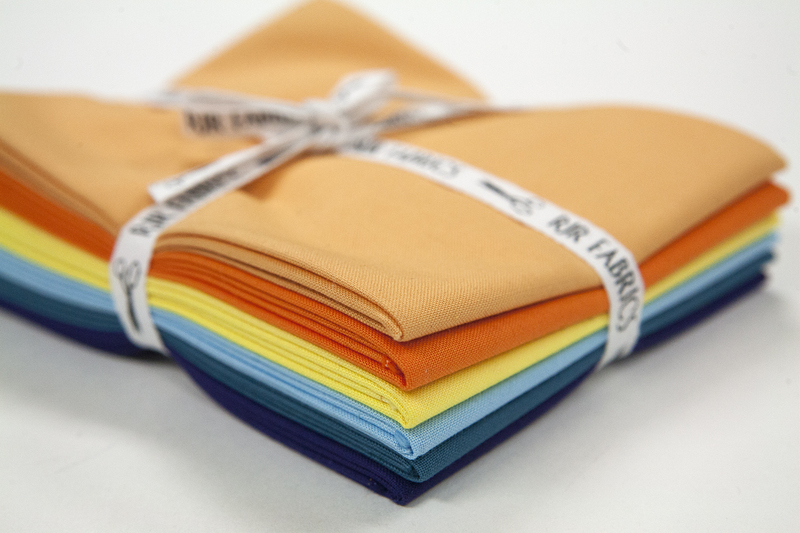 RJR has 149 solids colors to choose from in the Cotton Supreme line. They have a beautiful drape, weight, and feel to them. They might actually become my new favorite. I tweaked the design to make it lap sized. The construction is a basic log cabin with a few fun color placements. This design would look great in some of the other color offerings RJR has as well. Now, normally I wouldn’t just show you a quilt top, I like my quilts to be finished and bound and presentable. However, in this case I am saving this top to be finishe don a long arm. Quite possibly by me. Which is super super super awesome! Alrighty, on to the good stuff!! Tip: Use a light spray of starch or starch alternative before cutting to help keep the pieces from shifting and skewing while sewing. Spray on the wrong side and press from the right side of the fabric. 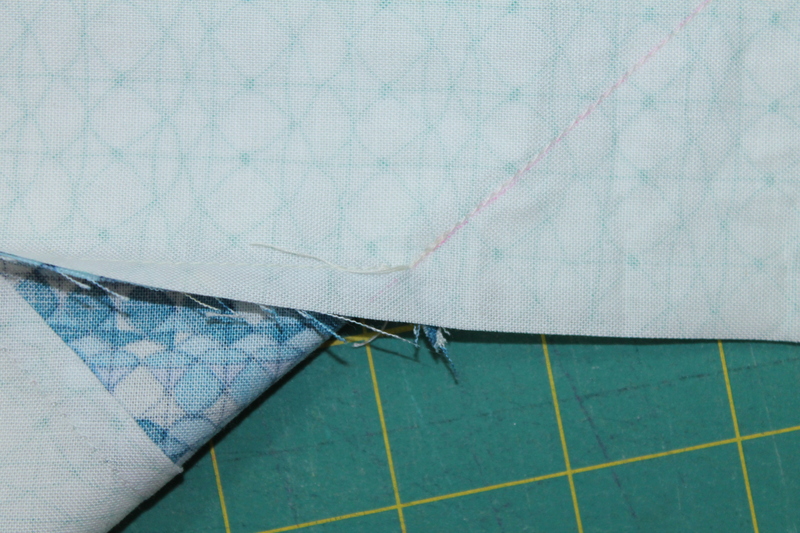 All seams are 1/4” unless otherwise stated. Pieces are sewn right sides together. 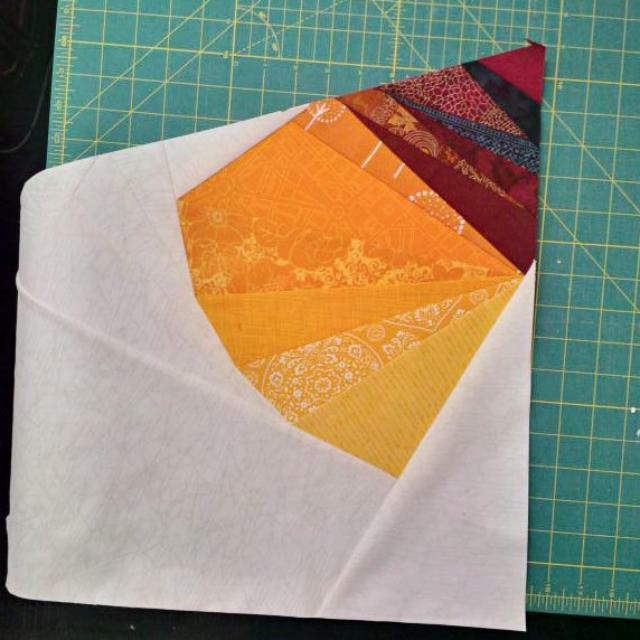 Take the medium bright yellow and bright yellow-orange 2”x 3 1/2” rectangles and sew them right sides together. Press the seams open to make the center squares.Take the medium tangerine 2”x 3 1/2” rectangles and sew them to either side of the center squares as shown. Press towards the center square. 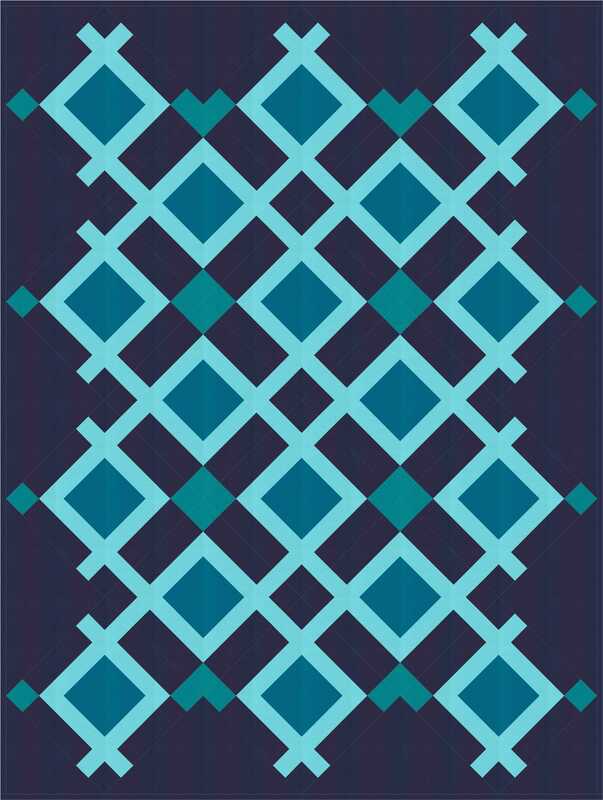 Take the light blue 2”x 6 1/2” rectangles and sew them to the top and bottom of the block. Press towards the center square. 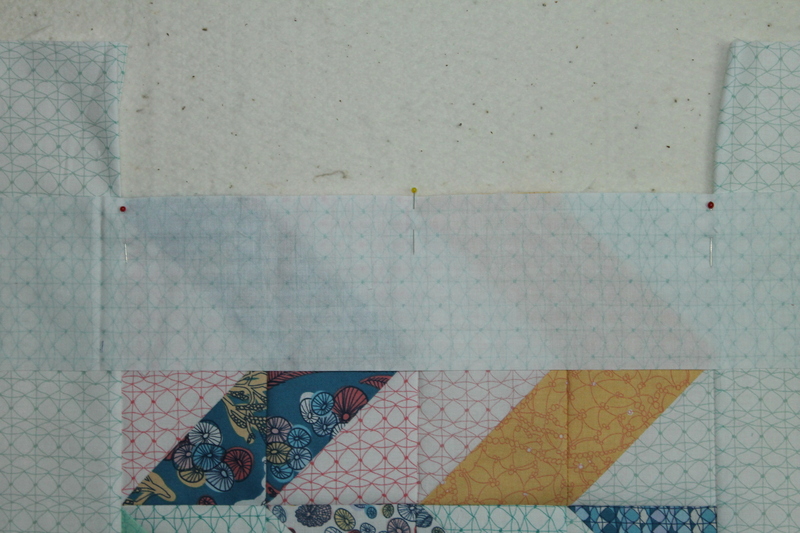 Take the medium blue 2”x 6 1/2” rectangles and sew them to the sides of the block as shown. 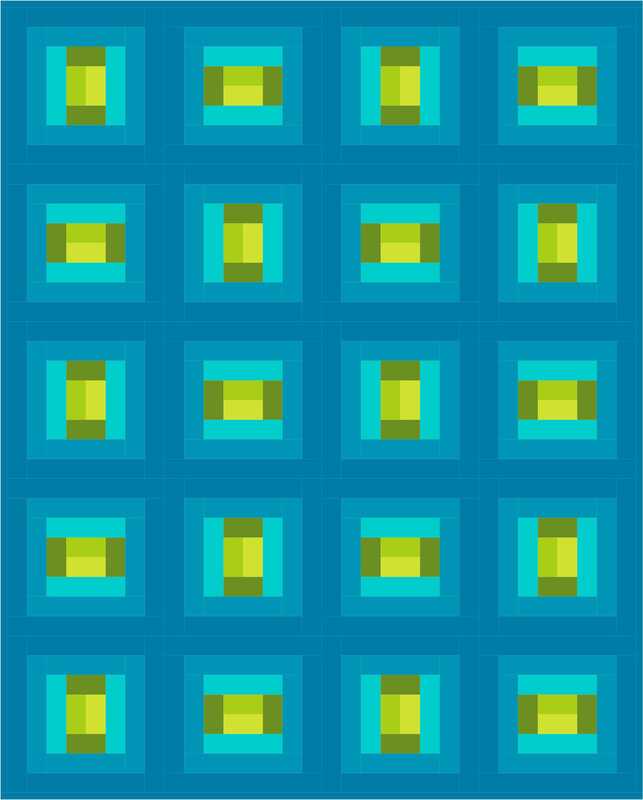 Press towards the center, and then sew the medium blue 2”x 9 1/2” rectangles to the top and bottom. Press towards the center. 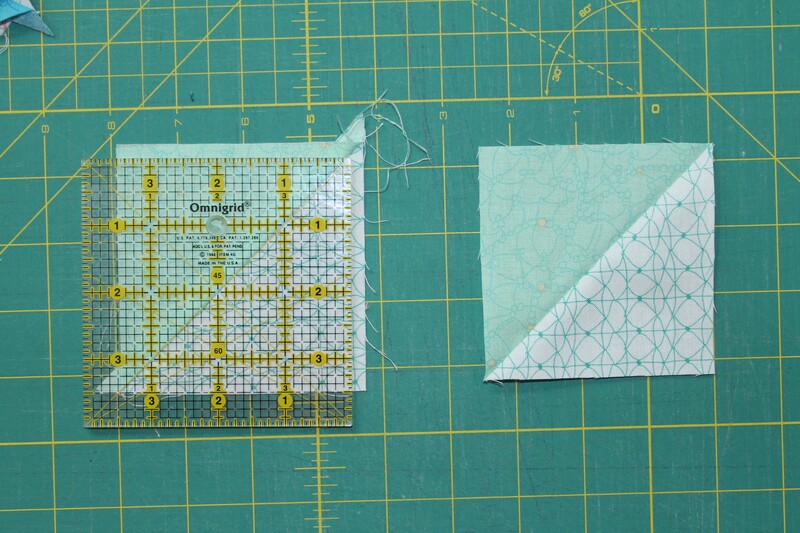 Take the navy 2”x 9 1/2” rectangles and sew them to the sides of the block as shown. 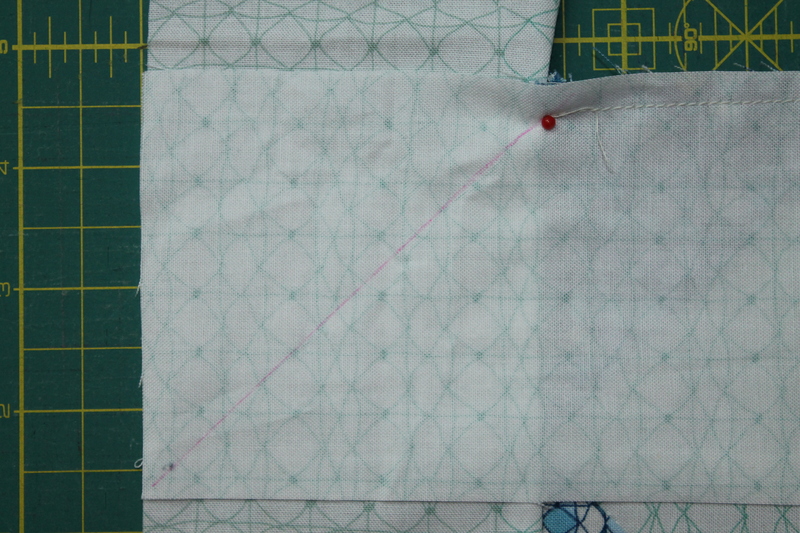 Press towards the center, and then sew the navy 2”x 12 1/2” rectangles to the top and bottom. Press towards the center. Trim and square the blocks to 12 1/2”x 12 1/2”. 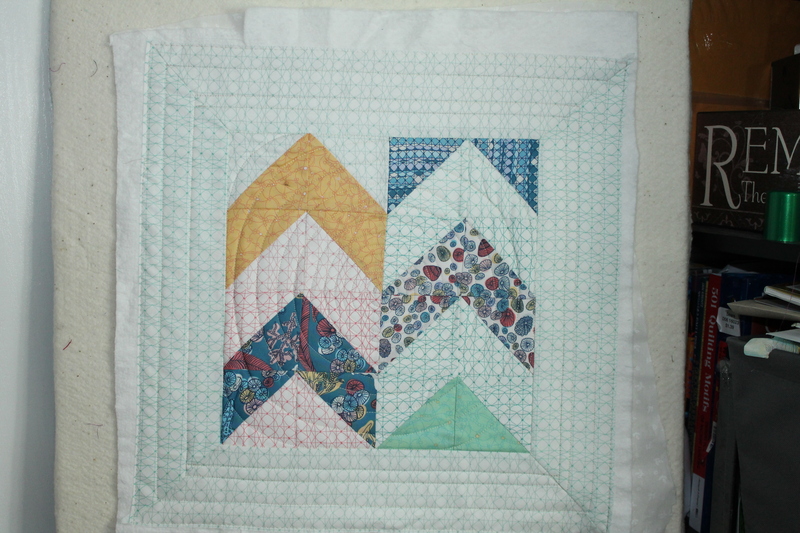 Sew the blocks together into rows of four as shown. In the odd rows the second and fourth block will be rotated, and in the even rows the first and third blocks will be rotated. Sew the rows together into the quilt top. 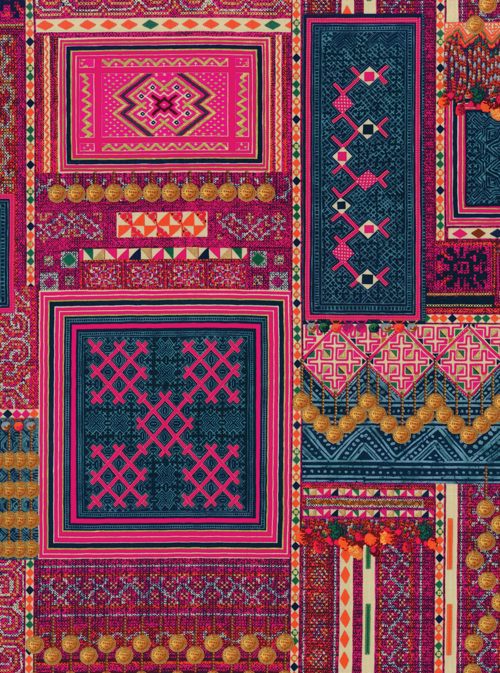 Piece the backing together so it measures approx 64″x 76″. Layer the quilt top with batting and backing; baste. Quilt as desired. 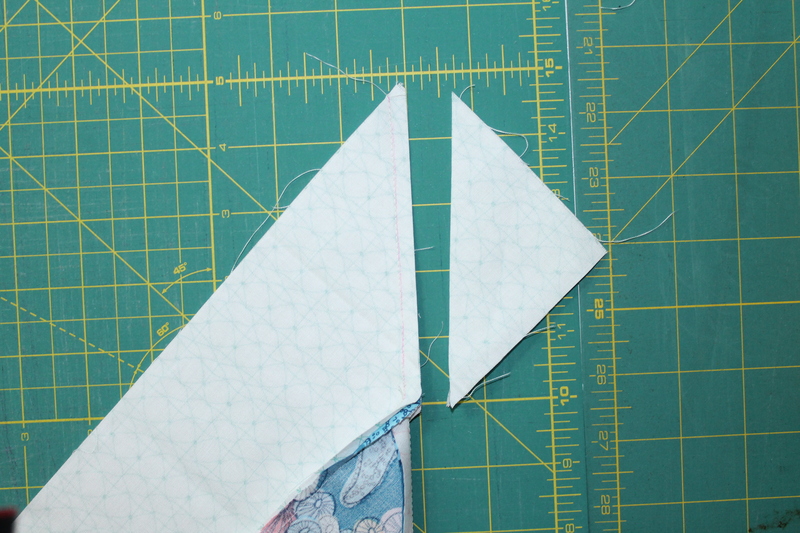 Join the royal 2 1/4″ wide binding strips using a diagonal seam to make a single long binding. 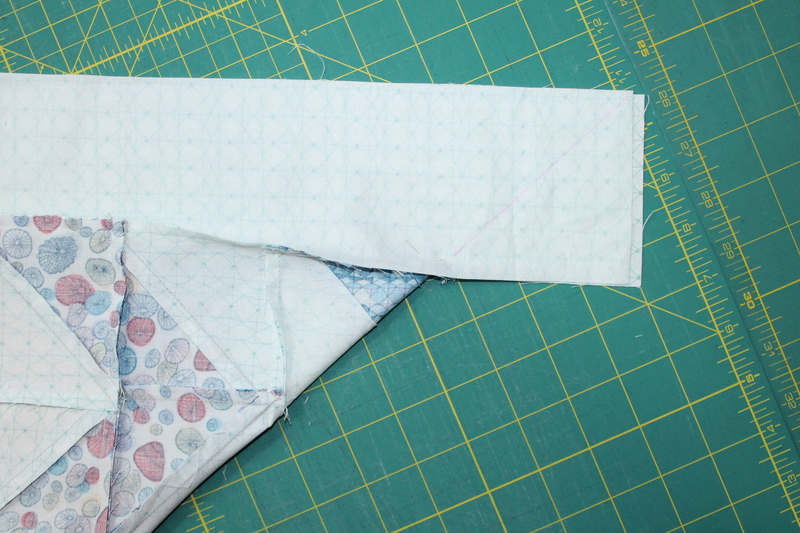 Fold the binding in half and sew it around the quilt top on the right side. Turn the binding to the back and secure in place by hand or machine. Label and enjoy! 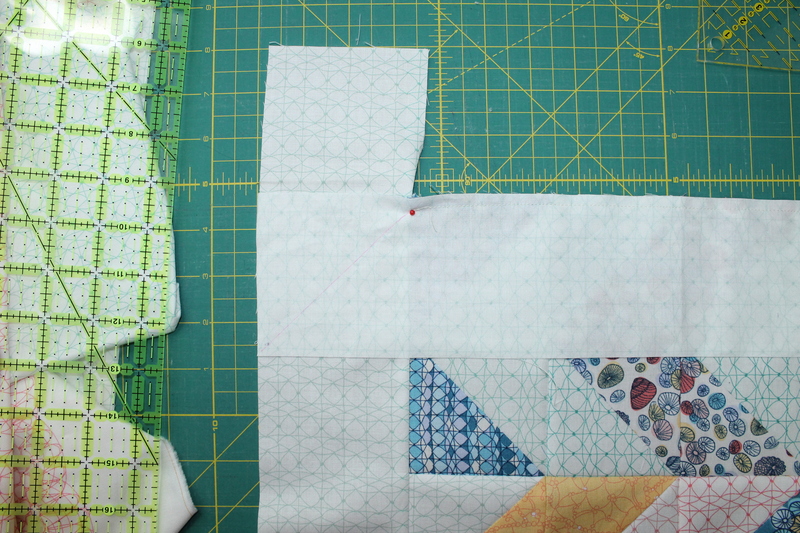 You could quilt each color individually, changing threads each time, to hide the quilting and let the blocks pop. 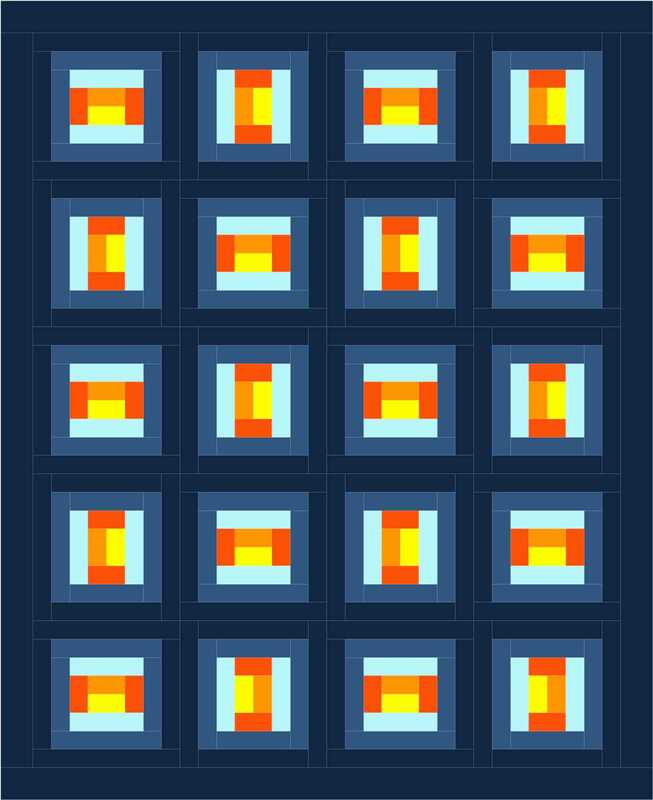 Alternately, you could choose a medium blue thread and quilt in straight lines that radiate out at angles from the center of the block to mimic the flow of light, and then use a swirl in the yellow sections to soften out all the hard angles. If improv is more your thing, you could easily make the blocks using varying width strips for a modern wonky log cabin look. Construct the blocks in the same order, using pieces with varying widths, building the log cabin outwards. 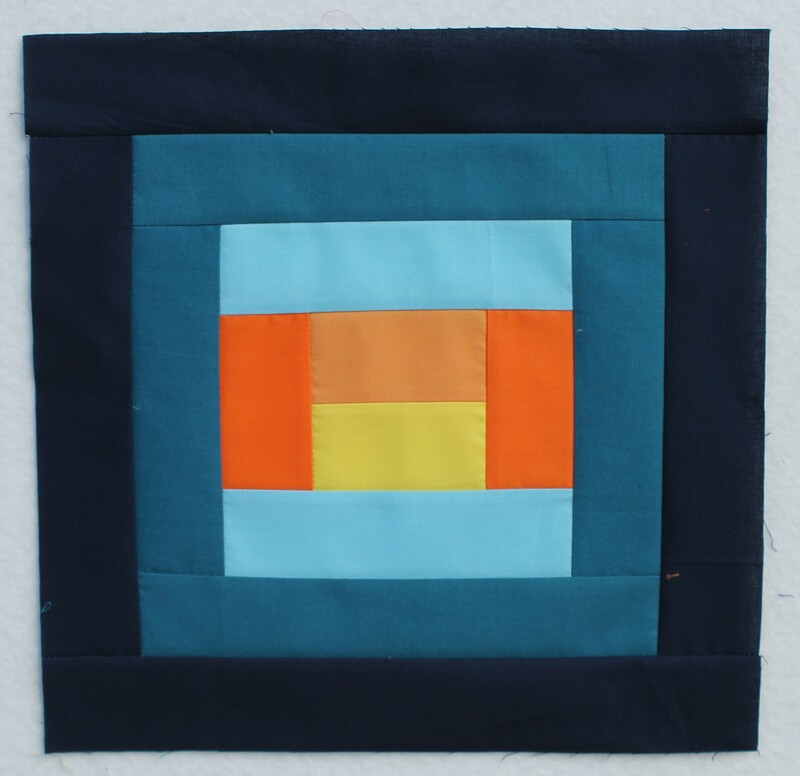 Use the indigo round to bring the blocks to just over 12 1/2”, then square. 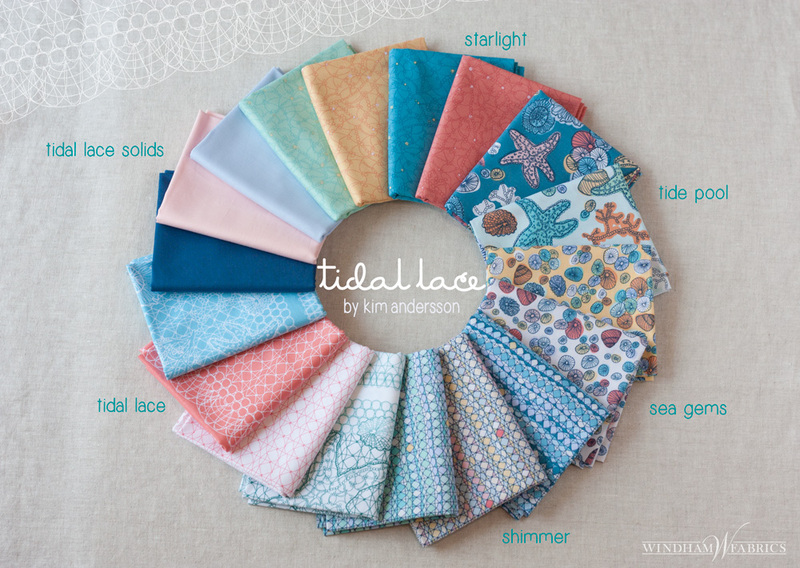 Put them all together for some fun and funky movement to your Lantern Quilt. 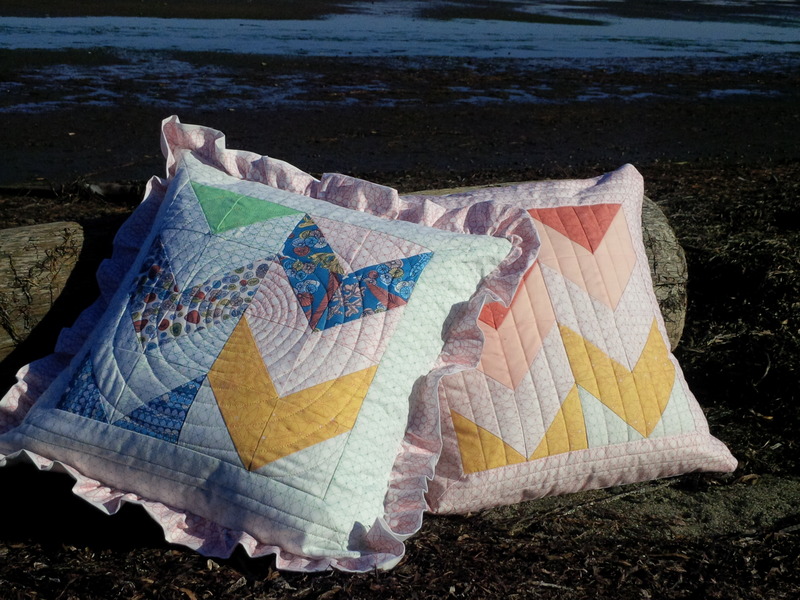 RJR has generously donated a bundle of the same fabrics used in my Lanterns Glow quilt to give away to one lucky reader! Simply comment below with an answer: What color are you and why? 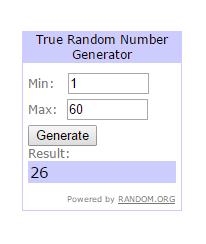 Entries will be open until 8pm Sunday, when I will draw a name using Random.org. Thank you for entering Michele, and thank you to everyone who came by to visit! *Full Disclosure* When I picked out my fabrics I did so without a color card, and what I thought was Navy was actually that beautiful royal almost purple at the bottom of the bundle. I am using it for the binding and back of the quilt. In the meantime, I found the correct color sku for the Navy and used that in the quilt as well as quoted it correctly in the instructions. 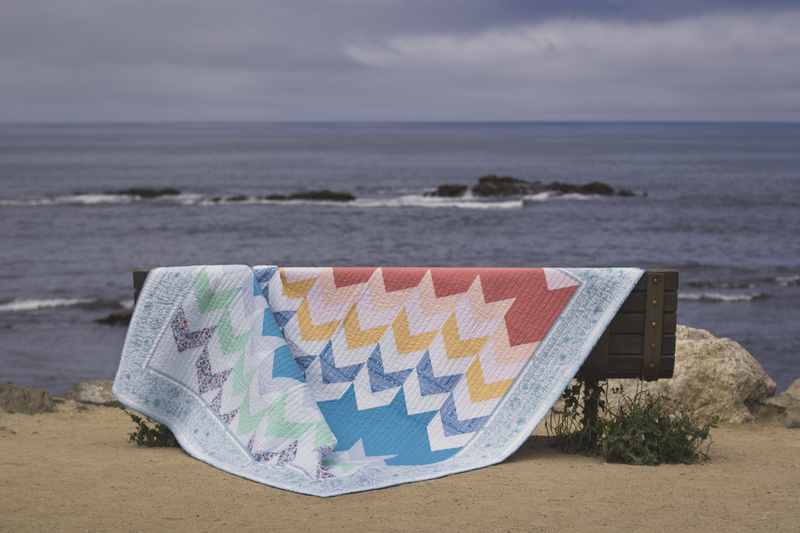 I am super excited to share with you all my Cirrus Solids Block of the Month Challenge! 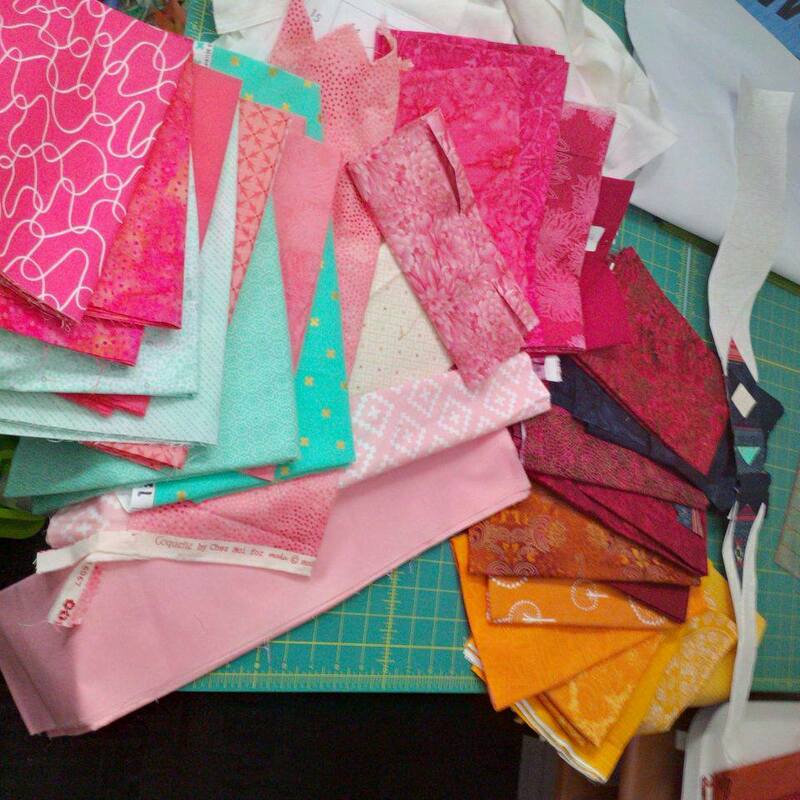 Back in July, Amy@Badskirt posted in the QDAD Facebook group about the Cirrus Solids BOM Challenge hosted by Cloud 9 Fabrics, to introduce their new line of solid fabrics. Cirrus solids are a soft, supple and vibrant line of chambray weight cross woven yarn-dyed solids. There are 21 hues in the collection, and hopefully they will be adding more! 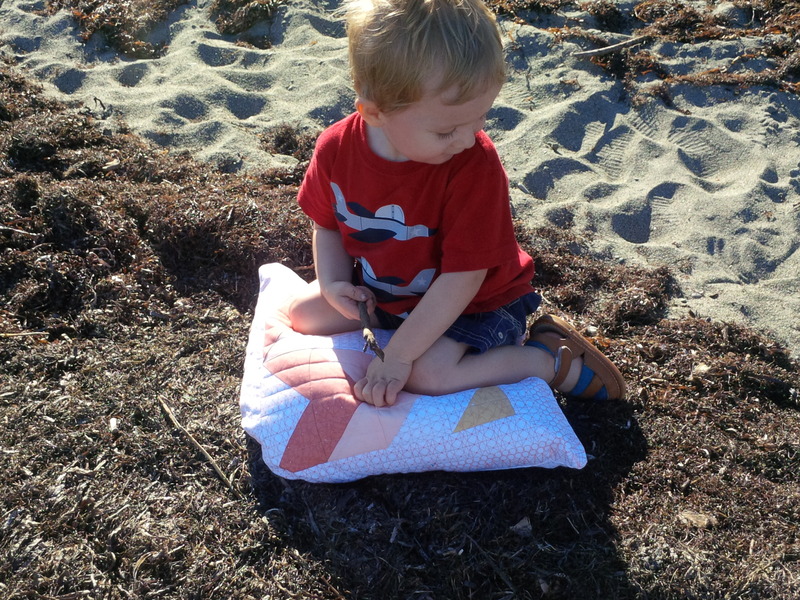 The fabrics are 100% certified organic and the dyes are low impact, so not only are they gorgeous, they are ecologically responsible. So naturally the more you have the better it is for the environment, right? 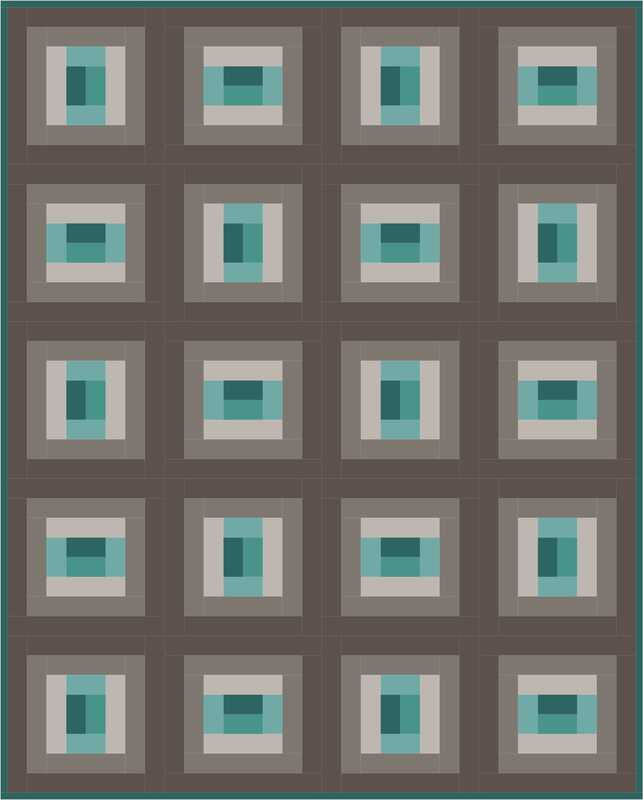 I am always up for a challenge, so I started playing with color combinations and shapes. Then life happened, and I had to step away for a while. About a month later I had a brainstorm, and sketched out some block ideas on a sketch pad I keep on my nightstand (you never know when inspiration will hit). 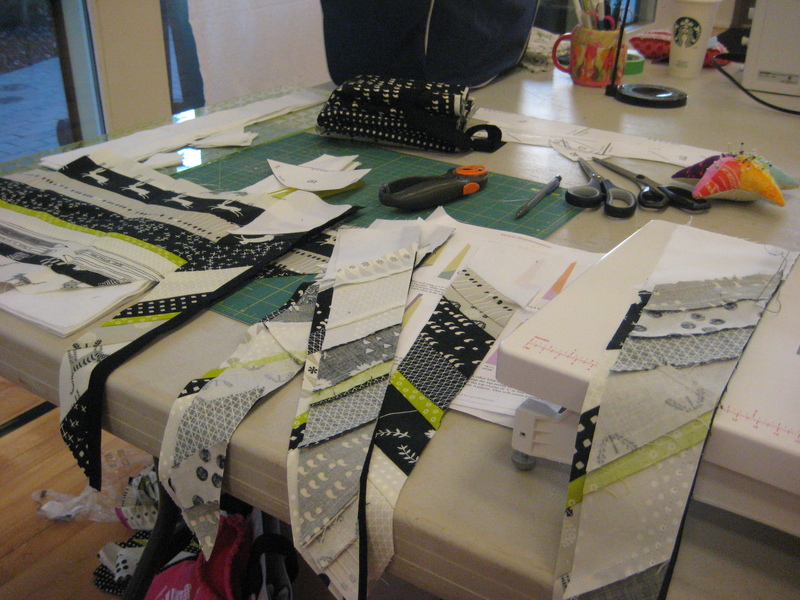 I drafted out a few blocks and plugged in some fabrics. There are so many variations and options with this block. It creates unique shapes when placed on point or horizontally. You can mirror the blocks, play with the color, whatever you want! Super versatile, and you know how I love versatile! 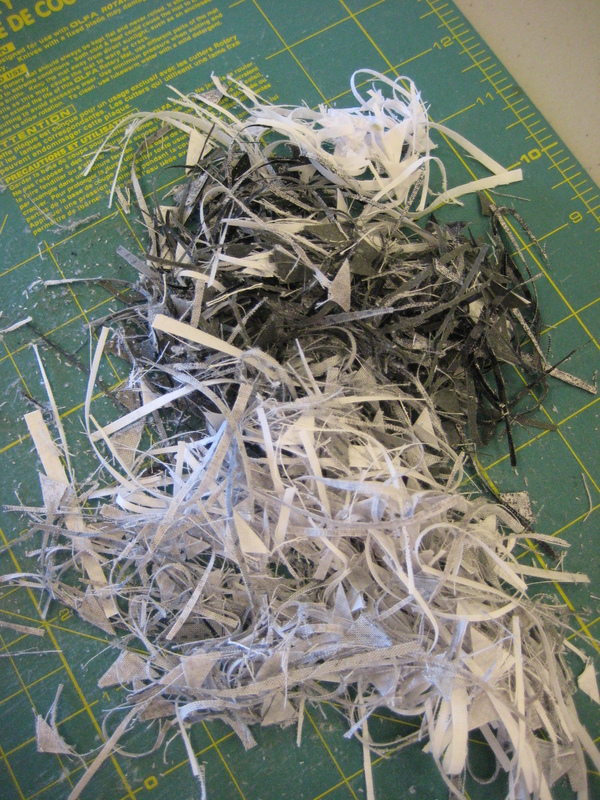 I can wait to make something with my bundle of Cirrus Solids! I hope you all take the time to enter the challenge! The entries are rolling, which means your block could be picked any time, you don’t have to enter every month. You can also check out the past challenge winners here and here! A big thank you to Cloud 9 for making this a great challenge! I have been waiting patiently for MONTHS to post about this! I still have another week to go for the big reveal, but I am still super stoked! 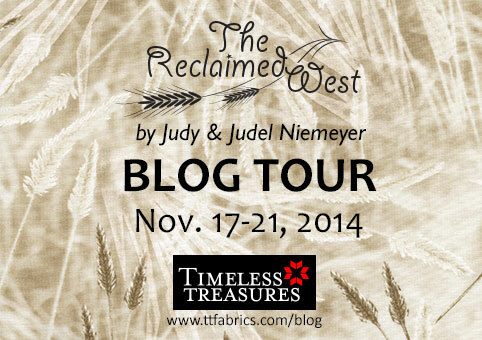 This blog tour, running from November 17-21, is hosted by Timeless Treasures to celebrate the release of Judy & Judel Niemeyer’s first-ever fabric line, The Reclaimed West. This line is full of rich, saturated prints in a whole rainbow of colors. There will be awesome giveaways on the Timeless Treasures Blog, and I will be giving away a PDF copy of my pattern right here! See you all next week!